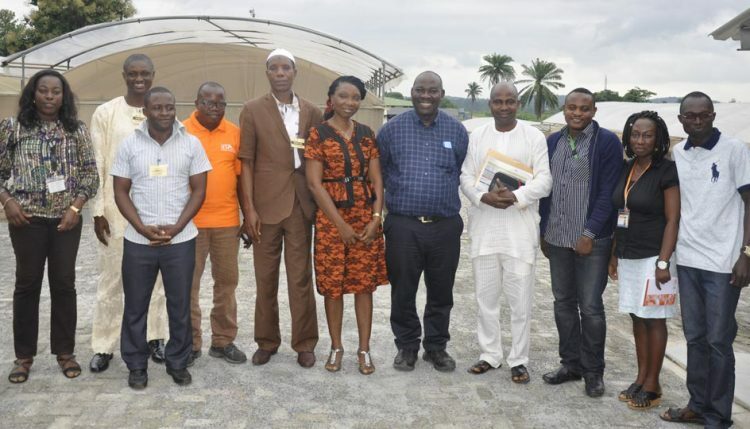 Members of the High Quality Cassava Flour (HQCF) value chain project recently reviewed the activities of the HQCF processors on the project. The review meeting, held in Ibadan on 15 June, scrutinized success indicators of interest to the International Fund for Agricultural Development, the project donor. These include the change in yield and income of cassava root producers; value chain inclusion of youth and women HQCF producers; integrated system to reduce production cost; increasing the efficiency of processors, as well as market linkage for key players. Participants at the HQCF review meeting. To attain these targets, the project engaged four processors in south-west Nigeria who were charged to contract young people, especially women, to farm. Since its inception two years ago, the HQCF project has provided planting materials, technical guidance, and monthly stipends to processors; and also facilitated the allocation of 2 ha of land to processors by their host communities. 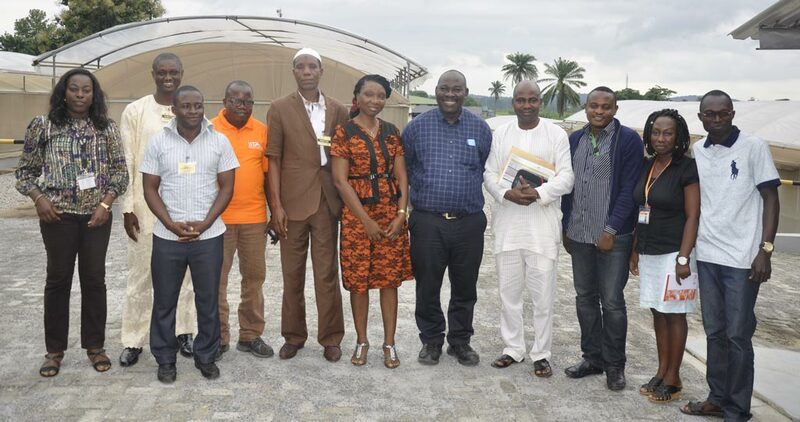 The processors in attendance were Arogunjo Foods Ltd., and Wahan Foods (Nig.) Ltd. both located within Asa Local Government Area of Kwara State; Oamsal Nigeria Ltd., Ayede-Ekiti in Ekiti State; and Open-Door Nigeria Ltd., Sango-Ota, Ogun State. A common success acknowledged by all the processors was the massive yield from the cassava varieties which they adopted despite the non-use of fertilizer. Femi Salami, CEO of Oamsal Nigeria Ltd., also added that the project’s technique for testing the starch content of cassava is cost effective.…Initially, I was thinking of buying a machine from China to test the starch content of my cassava; but then the project team taught us how to check this without buying any equipment. They helped us save some costs,” he said. The processors were able to save on labor and fuel among other factory costs. The processors announced their full commitment to root production and said they have gathered more equipment, engaged more youths, and cleared more land in preparation for planting this season. Also reviewed were the HQCF processing techniques at the factory level, flash dryer optimization system, diesel and kerosene consumption level; HQCF production per day; and market channeling.